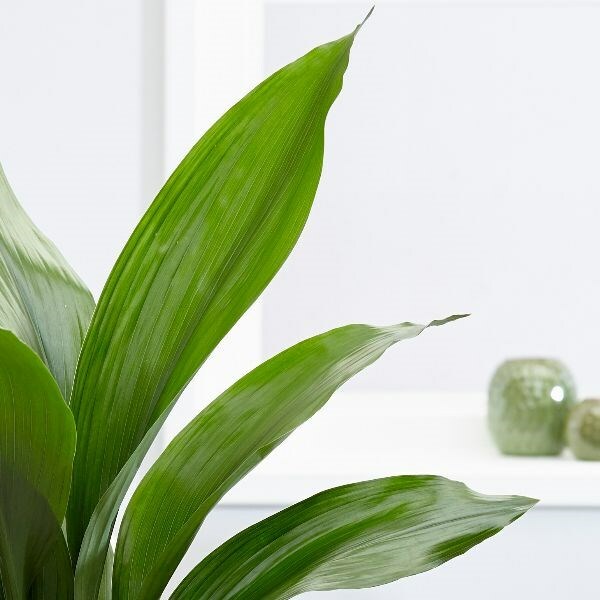 Incredibly popular with the Victorians, this aspidistra is an elegant and tolerant plant that will cope with some neglect - hence to common name of cast iron plant. It can withstand drought (provided temperatures are not too high) and pollution - and only needs repotting occasionally. 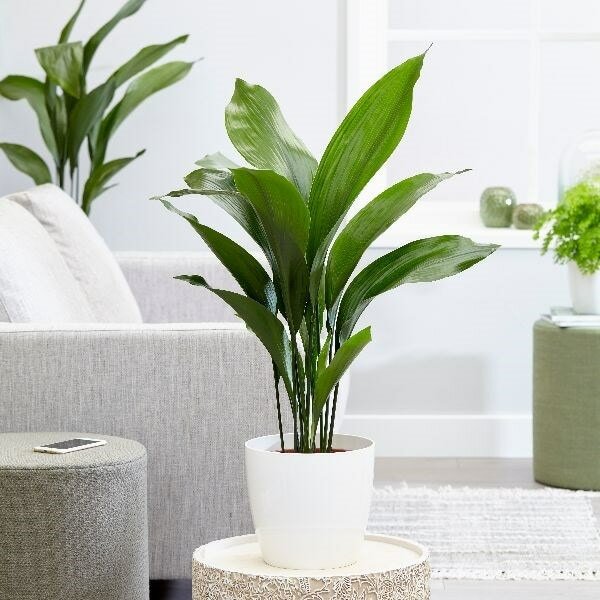 This makes it a great choice for the novice who wants something that looks nice, but is really easy to look after.Please note that the pot in the photograph is not supplied with the plant (which is sent out in a black plastic pot). They do however make excellent potted plants, and if you wish to pot yours up, we do have a wide range of pots on our website to choose from. Home care: In an ideal world, this plant will want a spot that is well away from direct sunlight, with a good amount of water in summer - but much less in winter. Wash the leaves occasionally to keep them free of dust (this can be done by popping it under a cold shower), and try to maintain cool temperatures above 7 - 10°C in winter. Pot on every 4 - 5 years using a good quality potting compost. Not always an easy plant to find in garden centres, and this one was a good size for a good price. Arrived looking good, and looks very happy a few months later - it's now putting out 3 new leaves. Very easy care, and was fine in the pot it arrived in til I could repot in spring 9 months later - not rootbound. Hello, This could be caused by a number of things, and I'm afraid I have not been able to pinpoint it from your description. The most likely causes however are problems with the watering - either too much or too little; or problems with the temperature - cold and draughty or too close to a radiator.